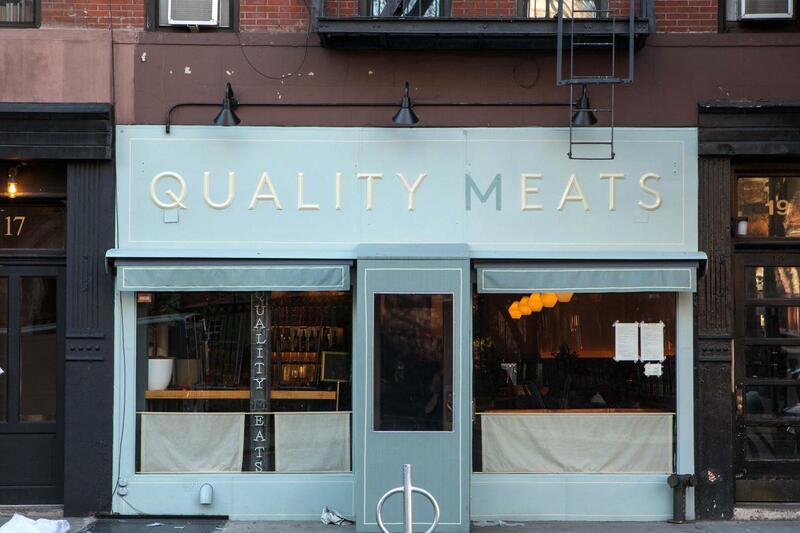 Quality Eats aims to change the notion that a visit to a steakhouse is exclusively a special-occasion experience. A modern, steak-centric twist on the classic neighborhood joint, the new restaurant, designed by Reunion Goods & Services (Hotel Tivoli, Pinewood Social) offers up a warm, casual atmosphere featuring updated (and inexpensive) interpretations of familiar steakhouse and grill dishes. All of Quality Eats's steaks come from naturally-raised cattle on family-owned farms, and the menu focuses on lesser-known cuts at affordable prices.